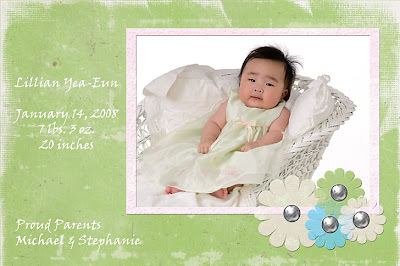 Yes, I do birth announcements! I have many styles to choose from, cute and whimsical or clean and classic, I can create pretty much anything you have in mind. Choose one or several of your favorite images to feature. 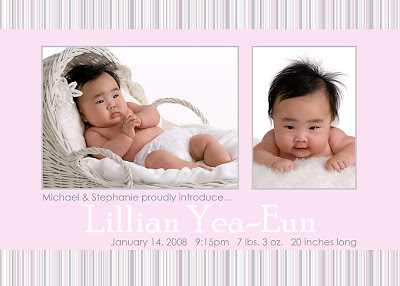 My Maternity/Newborn package includes 25 birth announcements, but you can order as many as you need to proclaim your new arrival to everyone on your list. The first one here is one of my most popular options. You can see more in the Image Gallery of my website.